Frontier Touring have announced the return of Rodriguez to Australia and New Zealand next February and March. Joining Rodriguez on all headline shows (excluding Darwin, Auckland and all A Day On The Green shows) will be Sydney based ARIA Award winner Sarah Blasko. Joining the bill in Darwin will be soul singer Caiti Baker, an A.B. Original collaborator and one half of electro-soul duo Sietta. A Day On The Green special guests include Xavier Rudd, Busby Marou, Pierce Brothers & Alice Skye. 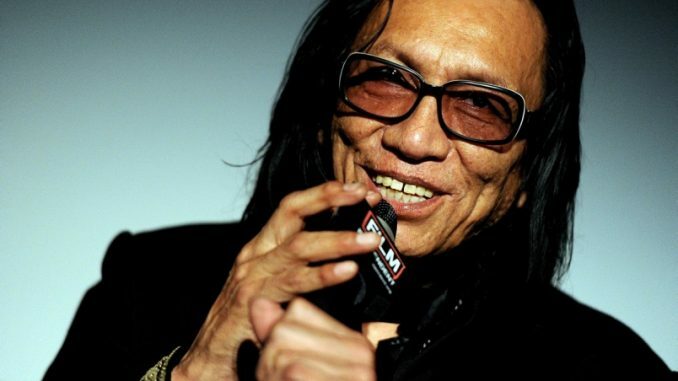 Rodriguez has had strong ties to Australia and New Zealand ever since his music gained airplay locally in the mid-1970s, long before the rest of the world caught onto his talent thanks to Malik Bendjelloul’s Oscar-winning film Searching for Sugar Man. He first toured Australia and New Zealand in the late 1970s and later returned to Australia in 2014 then again in 2016 for a run of 14 shows and also released the iconic live album, Rodriguez Rocks – Live In Australia (out now through Inertia). The Searching for Sugar Man documentary follows Rodriguez’s celebrated history that began in the bars and clubs around Detroit in the 1960s. Drawing inspiration from the city’s post-industrial urban decay, Rodriguez recorded and released albums Cold Fact (1969) and Coming From Reality (1971), which produced hit songs ‘Sugar Man’, ‘I Wonder’ and ‘Cause’. These releases went largely unnoticed in the US, despite Cold Fact being certified five-times platinum in Australia and Coming From Reality peaking at #24 in the ARIA Album chart. Thanks to bootleg recordings and word of mouth, Cold Fact found its way to South Africa where its counter-culture lyrics resonated with the country’s politically-alienated youth. Without a telephone and working factory and construction jobs to support his family, Rodriguez remained oblivious to the fact that he was bigger than Elvis in South Africa. Nearly five decades after the release of his debut, Rodriguez is finally being heard by audiences throughout Europe, the United Kingdom and North America, including festival audiences at Glastonbury and Coachella. Easily one of Australia’s finest, Sarah Blasko will be joining Rodriguez on all February and March 2019 dates. Having just released her sixth studio album Depth of Field (EMI Music) featuring the singles ‘A Shot’ and ‘Phantom’, Blasko has reached rarefied status. From the classic debut The Overture & The Underscore (2004) through to the stunning synth-laden Eternal Return (2015), her six-album run of genre-defining indie-rock and art-pop is unparalleled. Vocalist and front woman Caiti Baker will also be joining Rodriguez for a one off exclusive show in Darwin. Having toured nationally and internationally as one half of electro-soul act Sietta, Baker stepped out on her own and released her incredible debut album ZINC last October including singles ‘Heavy On My Heart’ and ‘Make Your Own Mistakes’. She has toured with and supported a number of artists including A.B. Original, Dan Sultan, Son Little, Guy Sebastian and Booker T.